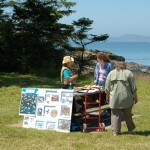 The Deception Pass Park Foundation Board meeting is held on the last Wednesday of each month. Board meetings are open to the public; please contact us if you would like to attend. Bring your kids and look for the Deception Pass Park Foundation and our gray whale skull trailer at the St. Pattie’s Day Parade in Oak Harbor, Washington! Join the Skagit Fisheries Enhancement Group for a Weeding and Replanting Party at Cornet Bay. This is part of a shoreline restoration project. Bring gloves and dress for the weather. FIELD TRIP at Rosario Beach: Site familiarity, cultural history, outdoor interpretation, animal and plant ID Wear sturdy shoes, and dress for the weather. We’ll be at the tide pools rain or shine. Bring a writing utensil and notebook.